On April 18, John Hazel and I floated from Pine Tree to Macks Canyon. 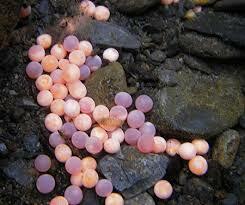 The purpose of the trip was install temperature recording devices in the river and establish algae photo points. The photo points will be used over the course of the summer to determine algae growth rates and density. 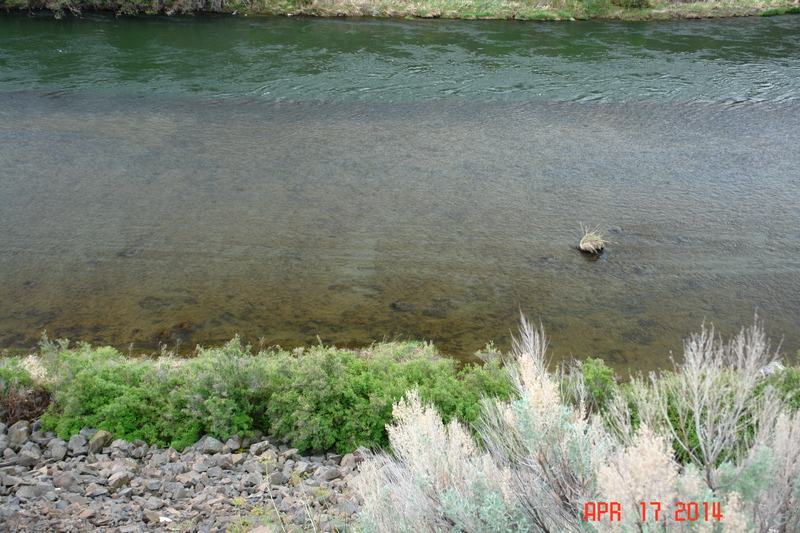 Nearly everyone has seen and experienced the algae if they fish the lower 100 miles of the Deschutes. Its appearance in the past few years has been hard to miss. The rocks are more slippery than they’ve ever been. And we fear that this nuisance algae is displacing beneficial algae that aquatic insects depend on as the base of the food chain. It started raining before I arrived in Maupin to pick John up. And it didn’t stop raining all day. The clouds hung on the ridges above the canyon. There was no wind. The timing was perfect for an abundant March Brown (Rithrogena morrisonii) hatch. Conditions were perfect too. But there was almost no hatch. We saw no more than two dozen duns in the air, none on the water or in foam lines. We only saw three fish break the surface all day. This matched earlier observations by knowledgeable observers that the March Browns seem to be essentially missing in action this year. Regardless, it was a beautiful spring day. The grasses, bushes and trees were fluorescent neon green. Mules ear wildflowers had turned some hillsides vibrant yellow. The green and yellow colors in the canyon were a stark contrast with the gray skies. And we caught fish. That would be what I call a great day. But I was also alarmed by something I saw. Along with many others, I had hoped that the high water events of this past winter might have flushed out some of the algae of last summer. And indeed it did flush out the upper portion of the adult algae, leaving behind the stalks which form a mucilaginous coating on river rock. It’s this coating that makes the rocks so slippery. So no, the high water events did not rid us of the algae. It’s not blooming, yet. 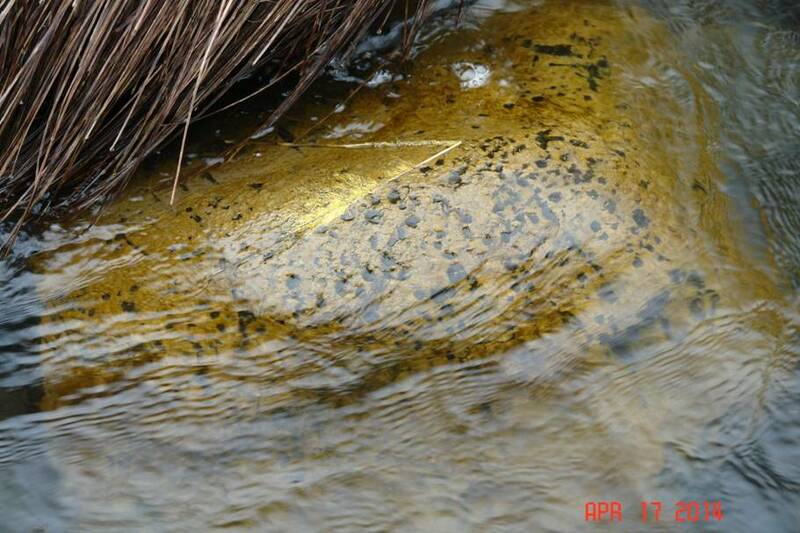 But the spores left behind and embedded on rocks where we find the mucilaginous slime will start to grow soon. All we need are some sunny days and slightly warmer temperatures. John and I talked about how this algae seemed to increase its geographic distribution last year by about 50%. John thought 50% was on the conservative side. It makes me fear what might happen this year. But that’s why we are embarking on an aggressive but cost efficient data gathering project this summer to document the extent of the algae bloom and the species involved. We’ll also be looking at the water quality issues that are likely feeding the algae bloom. See our science plan for more details. We are worried about this situation. No one can predict the long term consequences of what we are witnessing. 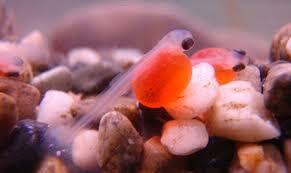 But it is clearly a major change in the biology of our favorite river. We are hoping that all of you will help us. Please click on the donate button and help make our work possible. Thank you. It’s that time of year again. 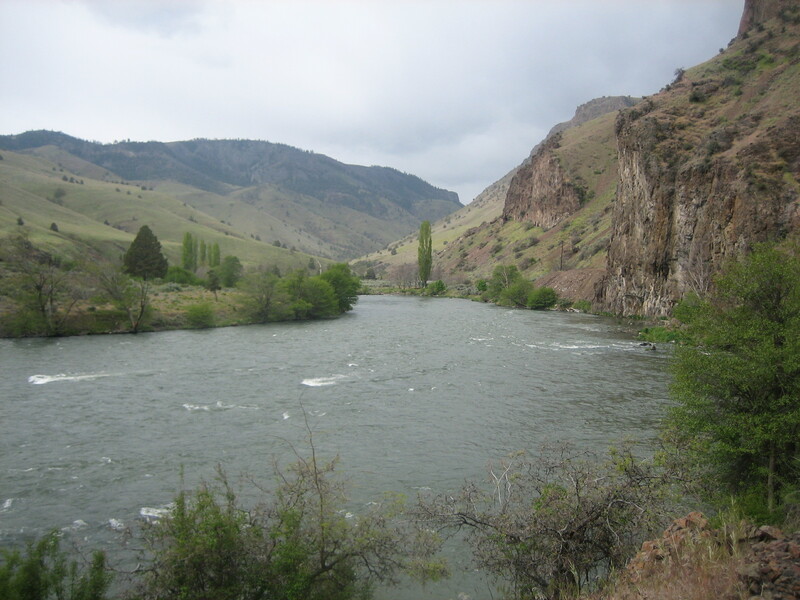 Wild trout and steelhead in the Deschutes and its tributaries are making their way to spawning gravel to simultaneously begin and complete the cycle of life. 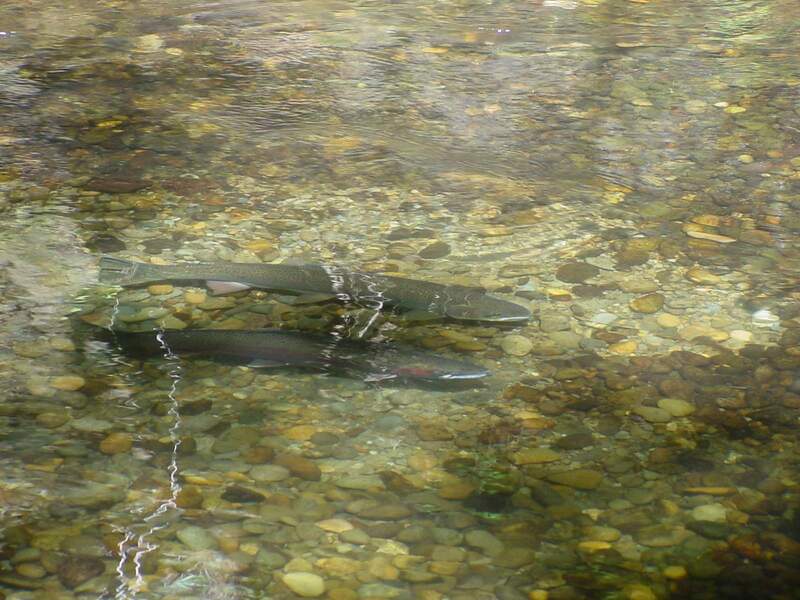 It’s nothing short of magic that steelhead can emerge as fry, grow to smolts, find their way to the ocean, and return to water and gravel that is often within feet or yards of where they began their lives as fertilized eggs. If one knows where to look, this fascinating act of gravel preparation (the prepared gravel is known as a “redd”), mating and egg-laying can be observed from the old railroad bed that forms the road we use to access the lower river. Look carefully into the water with polarized lenses and watch for gravel that has been worked into clean patches, especially in the often shallow rolling hills of gravel that are spawning dunes. 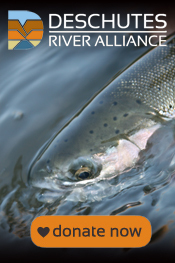 If you find those spots during April and May, chances are you’ll find fish, steelhead and trout, spawning. Often fish congregate in these locations not just to mate, but to feed on the eggs that don’t become trapped in gravel. 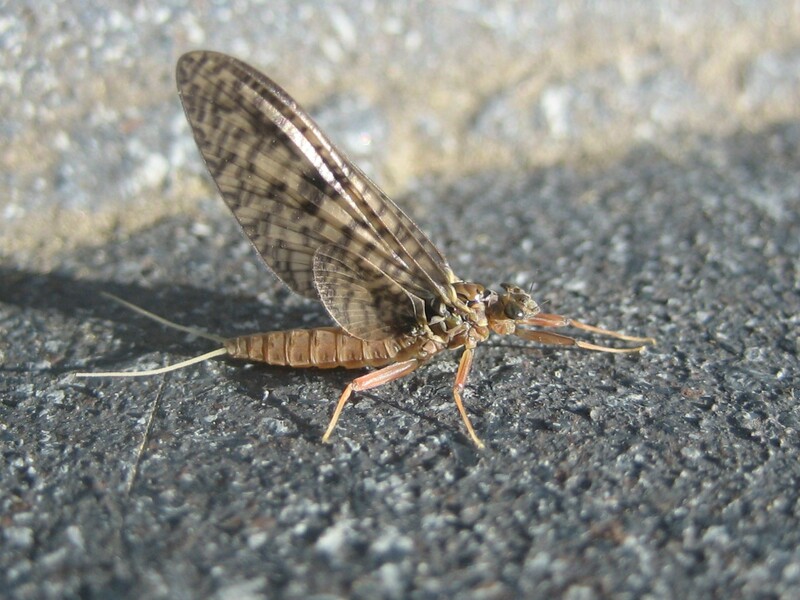 Aquatic insects can also get churned up from the gravel when fish are working that same gravel for spawning purposes. 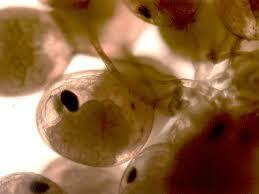 That makes the insects more available to predation from fish. As a consequence, it creates a tempting spot for fish to find an easy meal. This also makes for a tempting spot to fish, especially with egg patterns.